The Ariel Atom is a vehicle much coveted by so many enthusiasts, yet seen in real life by so few. With Ace Performance in Tewksbury, MA, becoming the first northeast Ariel Atom dealership, I just had to see the vehicle for myself. 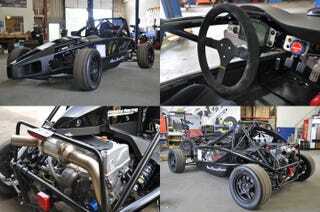 Rather than writing an excessively long essay about the Ariel Atom, I chose to let the pictures of the black Race Spec Atom and a privately owned street-legal Ariel Atom 3 do the talking. If each picture is worth a thousand words, at this link there are fifty thousand of them. See all pictures at Hooniverse.com.